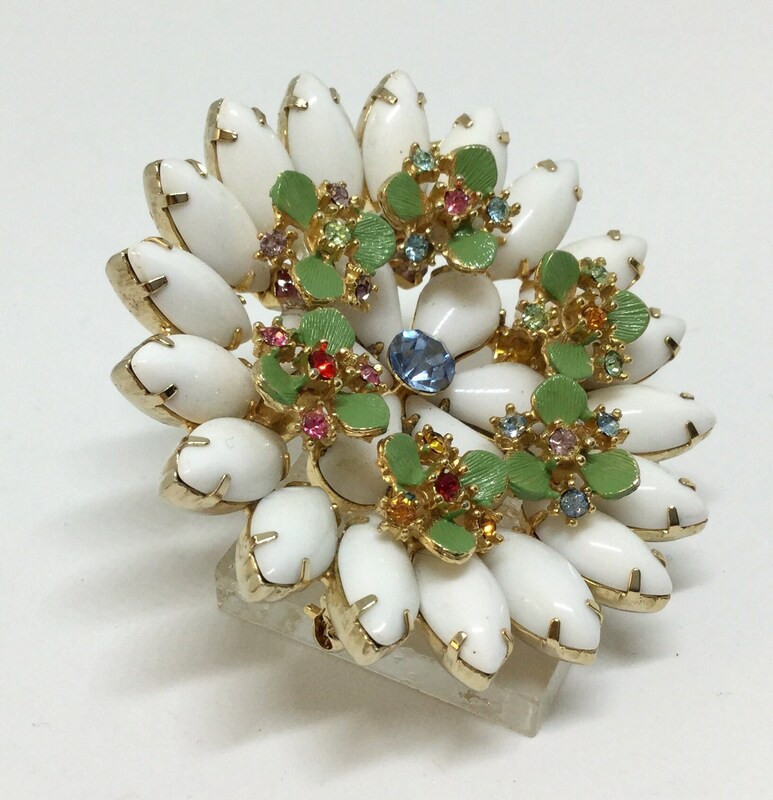 This is a gorgeous 60s vintage unsigned goldtone enamel and rhinestone milk glass flower brooch. 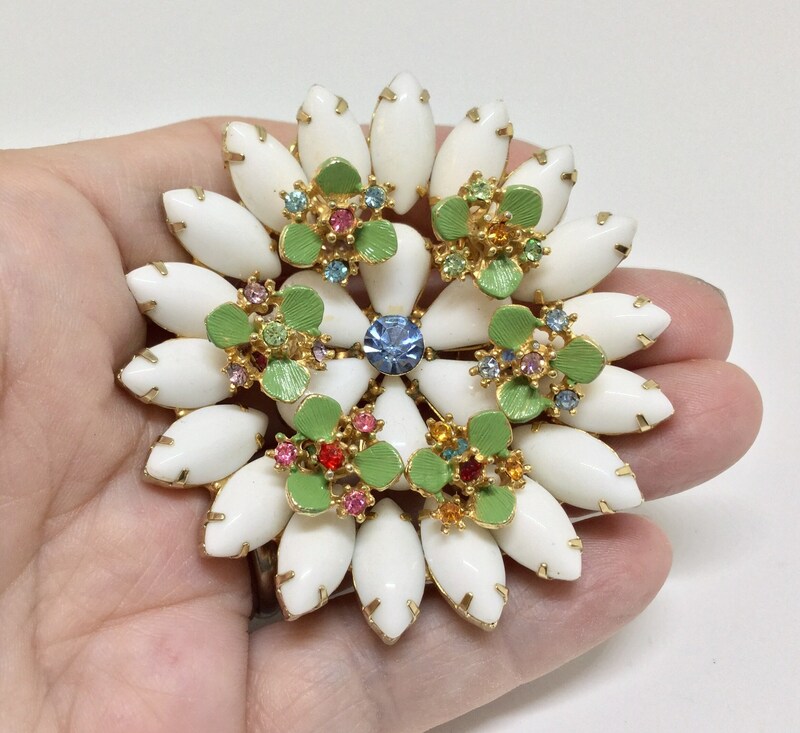 The outside petals are white milk glass navettes. 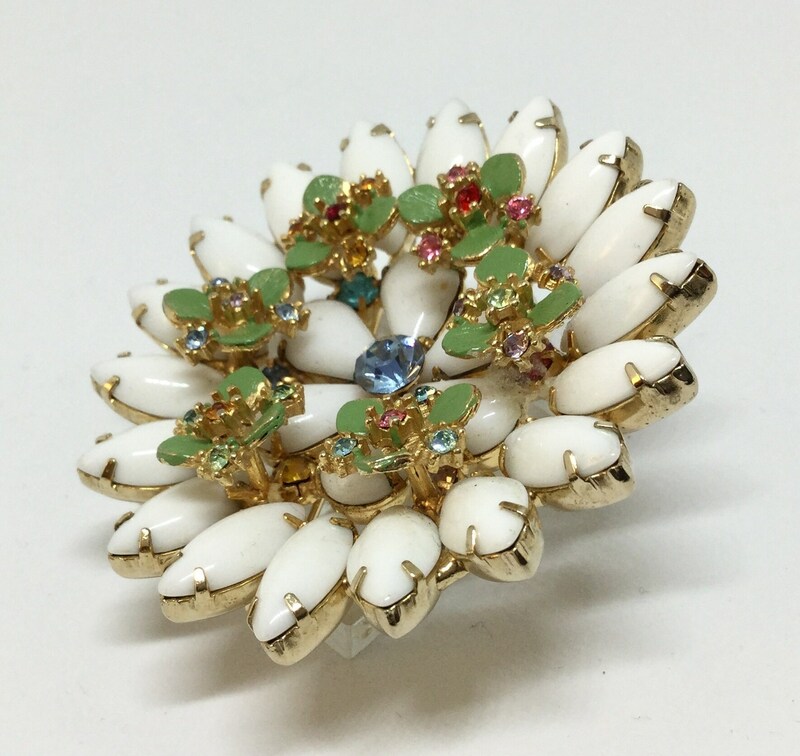 Inside those navettes is a center flower of six teardrop milk glass stones with a light blue sparkly rhinestone center. 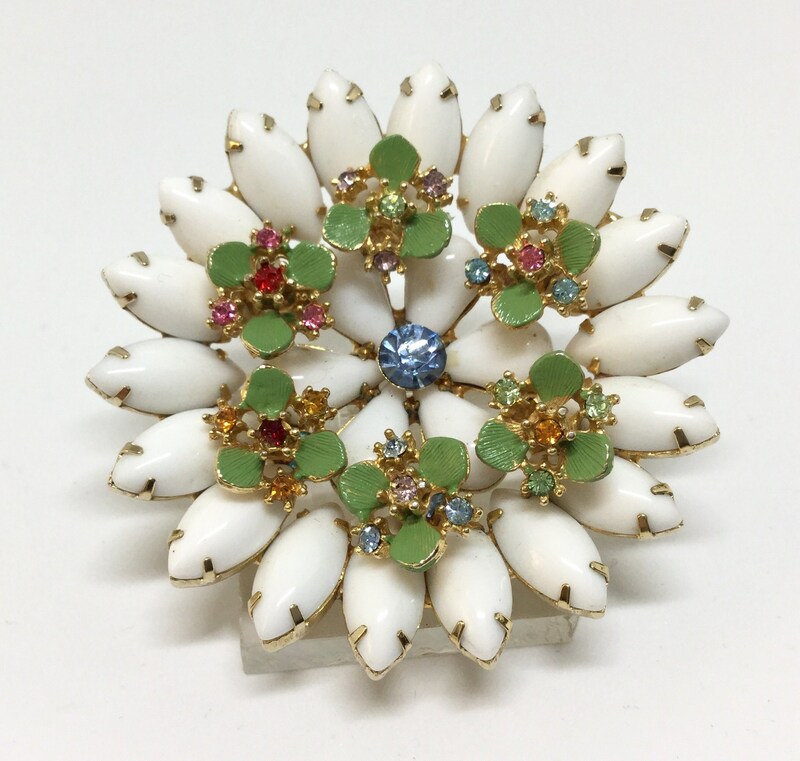 On top of this center is a overlay of six flowers with green enamel petals and multicolored small rhinestone accents. 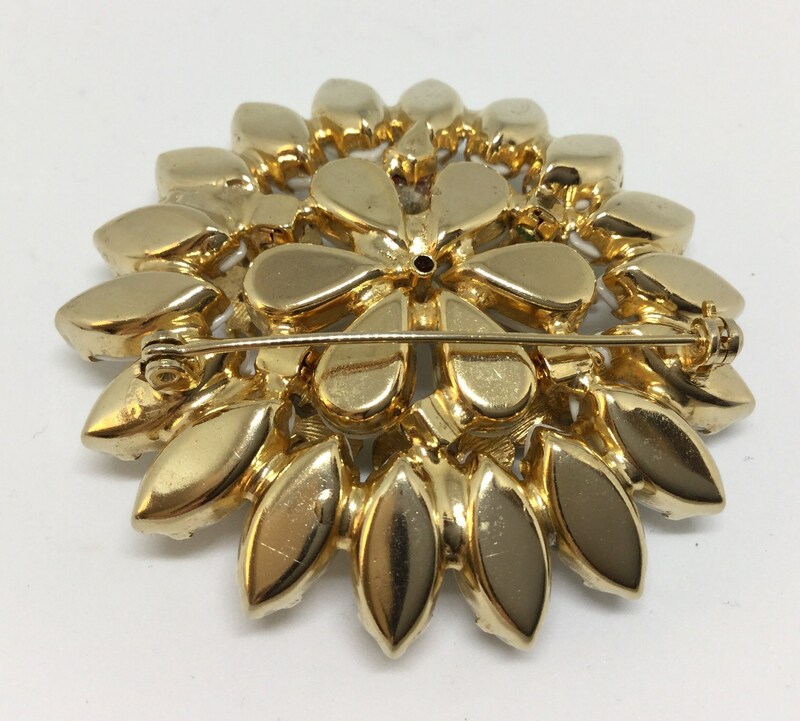 It measures 2 1/4” in diameter and the pin closure is straight and works smoothly and securely. 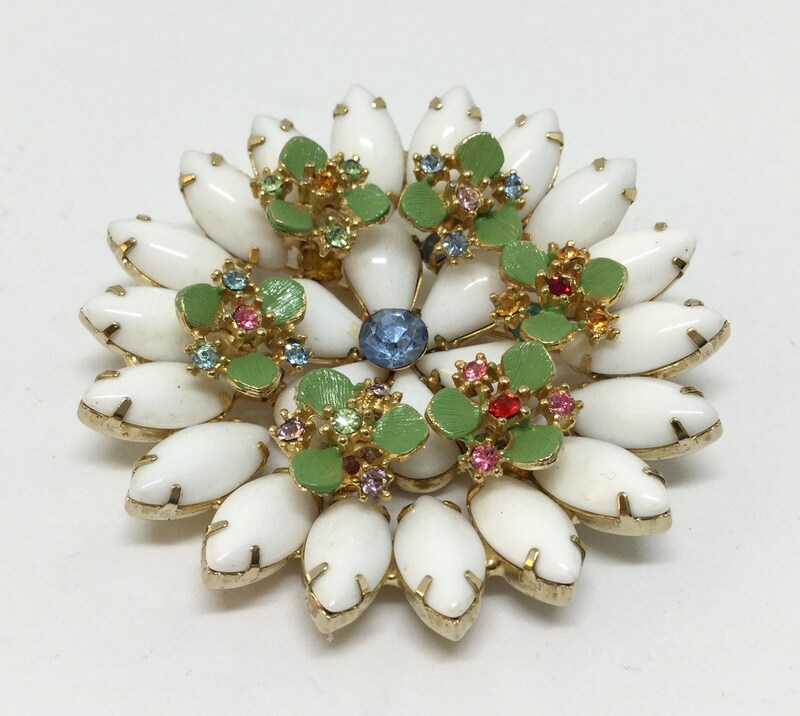 It is in great condition with light wear on the back. 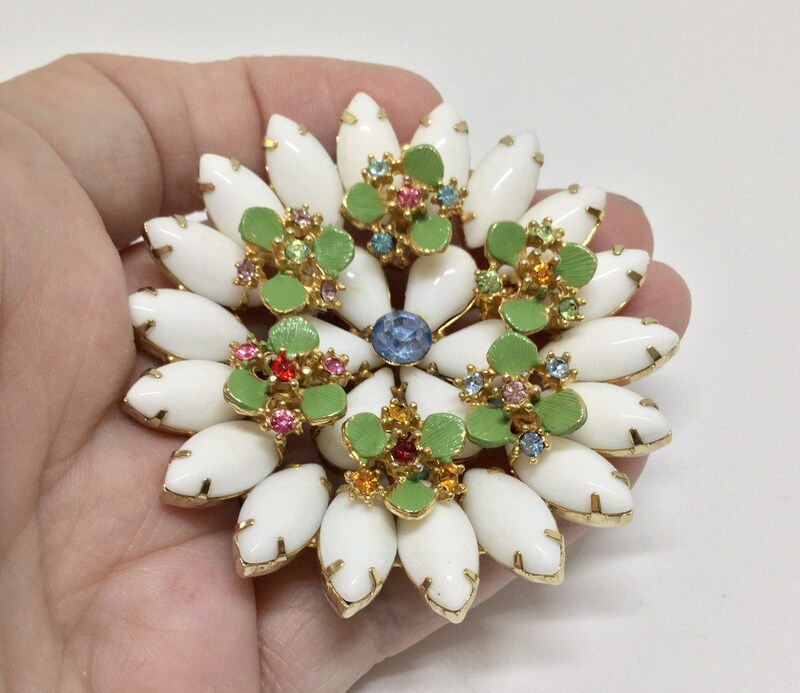 This is a unique and eye catching flower brooch that I know you will love to wear and add to your collection or to give as a gift. 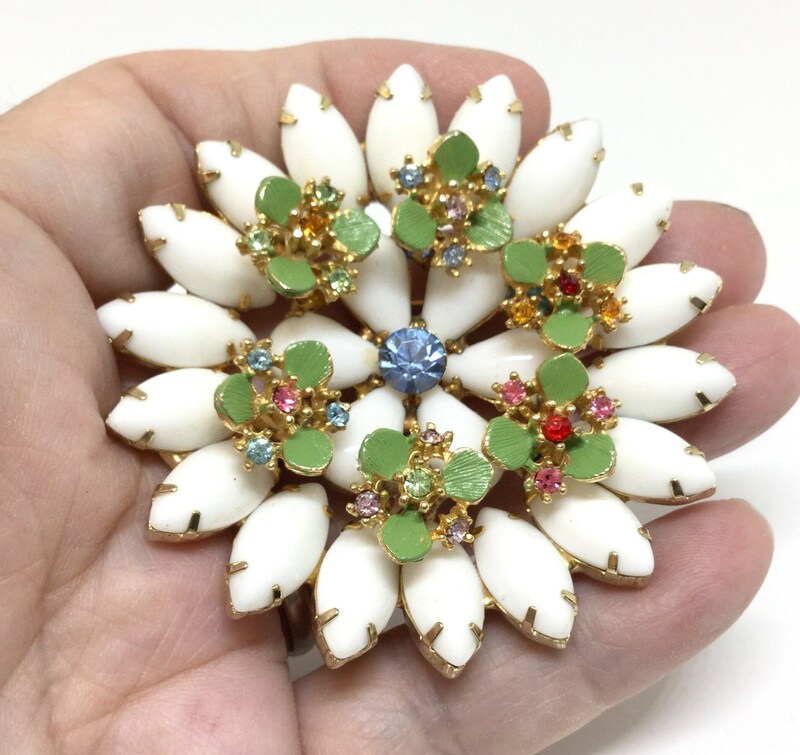 Milk glass has always been one of my favorite stones and this flower brooch is no exception!